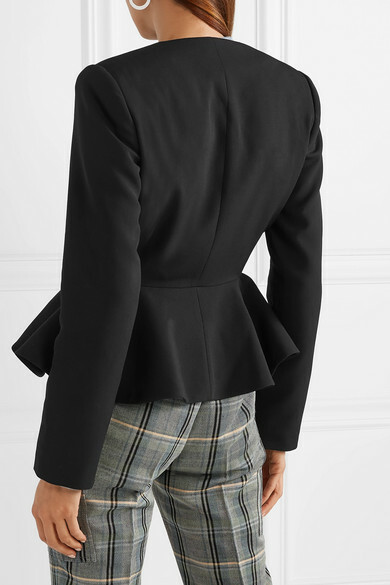 Classic Saville Row tailoring is a key part of Stella McCartney's collections, but she's never one to avoid cool details - note the peplum hem on this blazer. 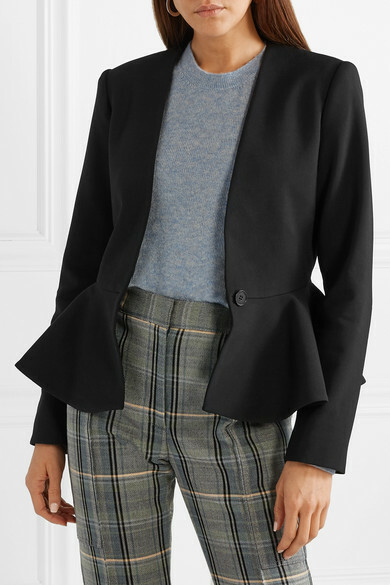 It's cut from a black wool-blend for a slim fit and is gently nipped at the waist. 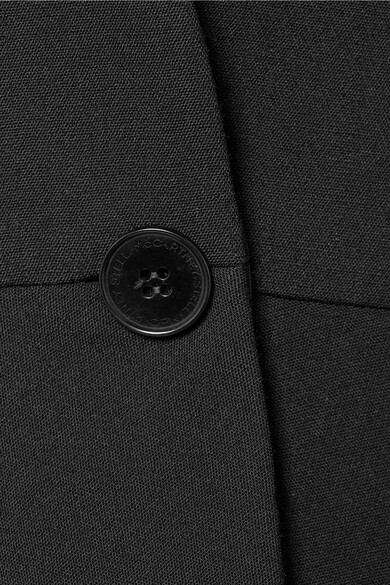 The satin lining ensures it will fit smoothly over both crisp shirting and sweaters. 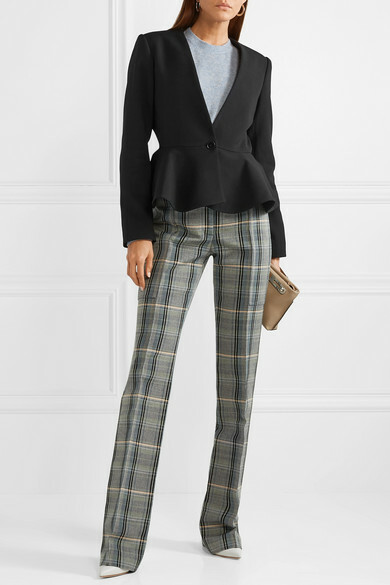 Shown here with: The Row Sweater, Stella McCartney Pants, Loewe Shoulder bag, Gianvito Rossi Pumps, Jennifer Fisher Earrings.